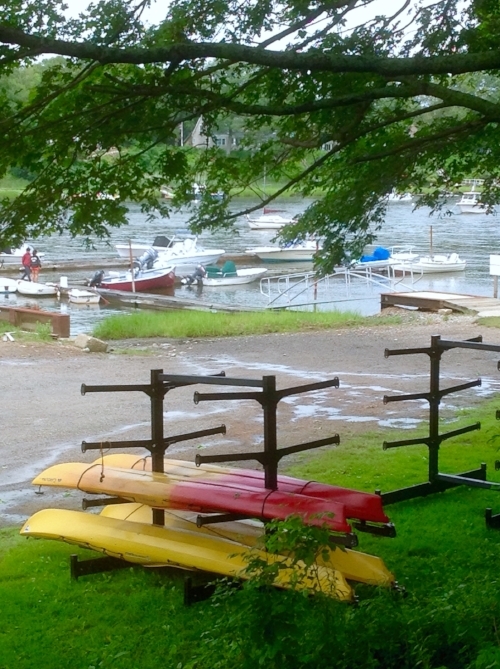 Newbury Kayak & Canoe is located on the Parker River with direct access to the water. Down at the water front we have clean, safe racks available for rental for the paddling season. Rental includes one boat's space on the rack, free parking, and use of our launch ramp. Launching from the shop gives you access to the Parker River, marches and Plum Island Sound. Summer storage is $200 for the 2018 season, June to November. We also have lots of warehouse space for indoor winter storage. If you want a safe space to store your boat that doesn't take half your garage or basement, we've got it. Winter storage is $100 for the season.